Rabies (stays off the trail). Does my policy apply when I’m in Uzbekistan? Will it cover emergencies like a trip to an Uzbek hospital or a medical evacuation? In many places in Uzbekistan, doctors and hospitals still expect payment in cash at the time of service. Make sure your health insurance covers you for medical expenses abroad. If not, supplemental insurance for overseas coverage, including possible evacuation, should be seriously considered. Bring your insurance card, claim forms, and any other relevant insurance documents. Before departure, determine whether your insurance plan will make payments directly to providers or reimburse you later for overseas health expenditures. Travelers are advised to take a well-equipped first-aid kit with them containing basic medicines and any prescriptions that they may need. 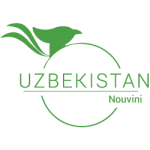 If you want to bring prescribed medicines to Uzbekistan, first check that it is licensed for use. Always carry medicines in a correctly labeled container as issued by the pharmacist. Otherwise, bring a letter from your doctor or a personal health record card giving details of the drug prescribed, in case it is questioned by customs or you require additional supplies. You are advised to drink only boiled water, peel all fruits and vegetables, and avoid undercooked meat. You should avoid eating unpasteurized dairy products and most food sold in the streets.